This is a pale baby shell pink large saucer headpiece with crown in sinamay, with silk roses, sinamay ribbons and veiling. A circular saucer tilted over the right side of head. Moden fashionable design in a popular palest pink. 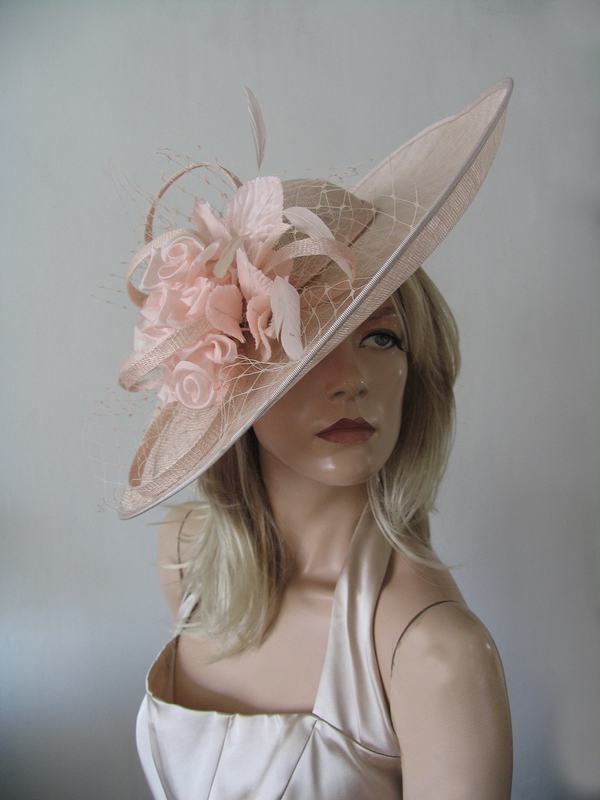 Great Mother of the Bride Hat, or of course Royal Ascot. Attaches by satin alice band on the underside.